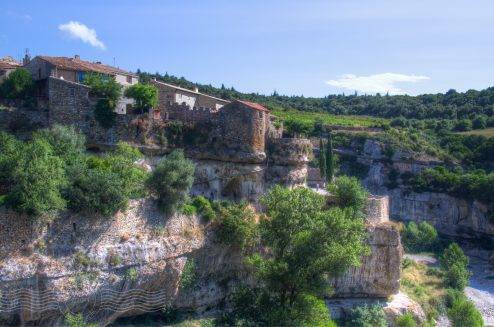 The ancient cité of Minerve is built on a natural lump of rock that lies in the V of the convergence of two rivers. Over the millennia the rivers have cut deep gorges into the limestone leaving a column of rock on which the town was built. A narrow causeway was the only way into the town before the main bridge was built in the 19th century. The only source of water for the village, was a well at the bottom of the cliffs. 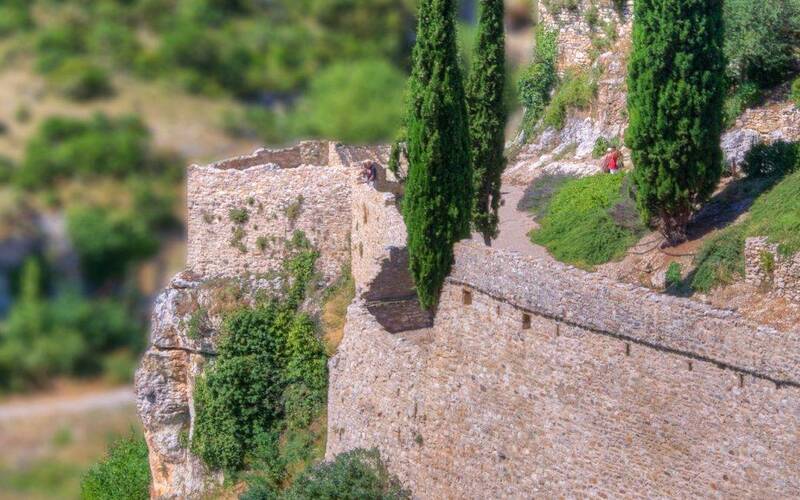 The fortified town wall therefore included a tower which descended down the cliff face into the river bed to encompass the well. The village is steeped in history, from Roman times to Cathar times and more. 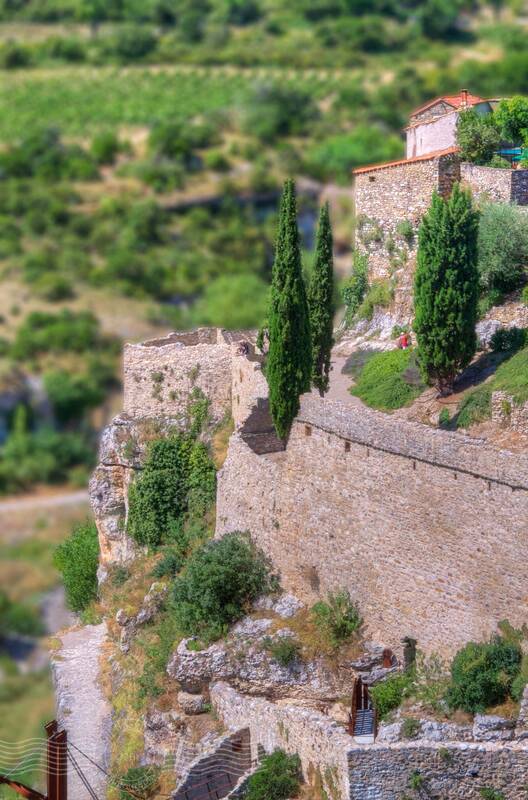 Wandering its narrow streets, often with spectacular and vertigo-inducing views into the gorge, and over-looking the rugged and wild countryside beyond you can start to imagine why, 1000 years ago or more, villages like this were built.